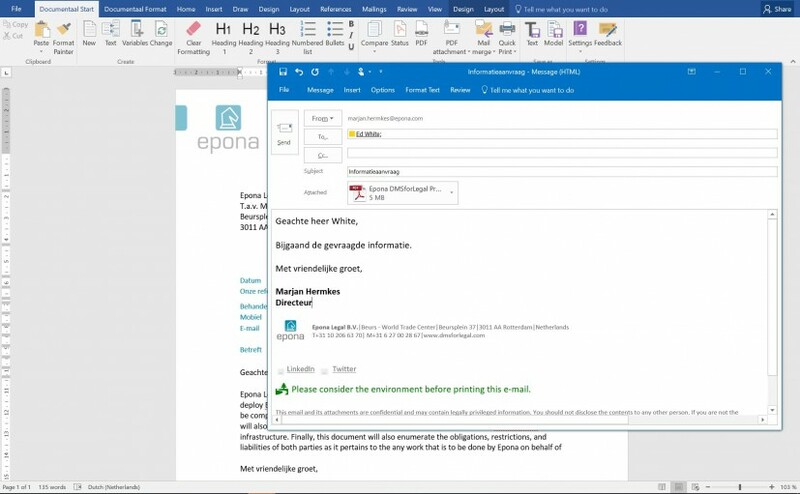 LegalWord enables legal professionals to quickly and easily create documents with a consistent professional corporate identity. 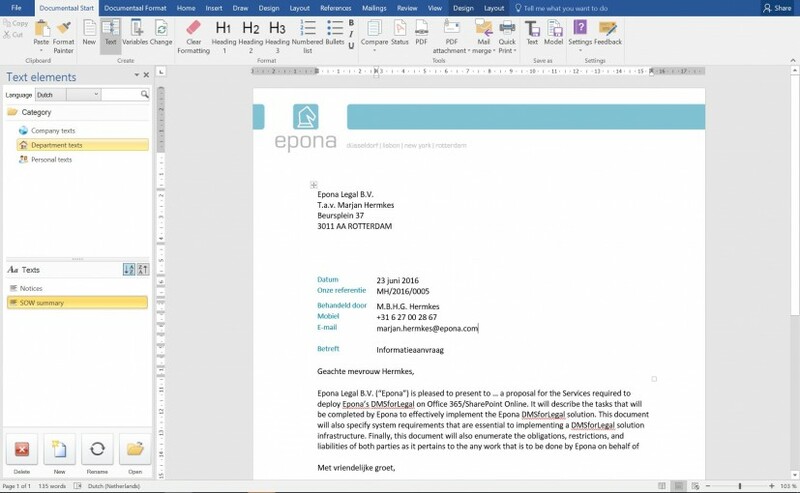 Creating and maintaining documents in Microsoft Word or other Microsoft Office applications is often time consuming and complex. With LegalWord it is easy to create case files, pleadings and agreements using predefined templates and text building blocks. 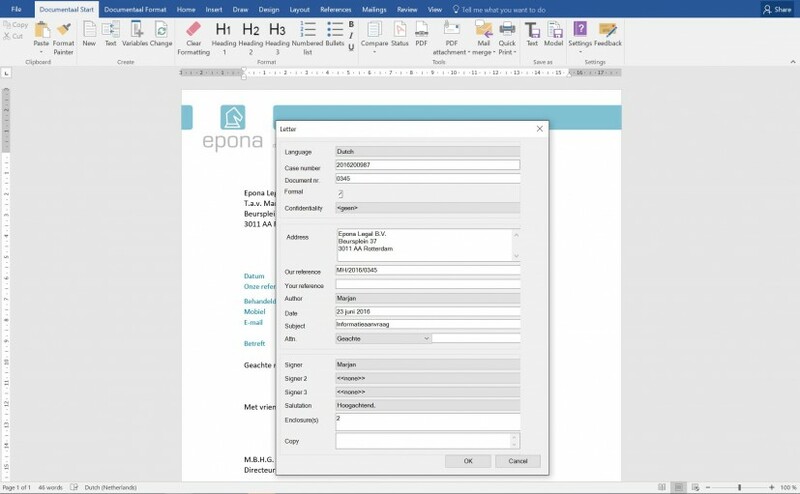 The available connectors with Epona ContactManager and Epona DMSforLegal ensure the use of correct contact information and complete matter files. Learn more about LegalWord, ask for a demo.